Natural Gas is Lighter Than Air and Its Rising – I Smell Trading Opportunity! 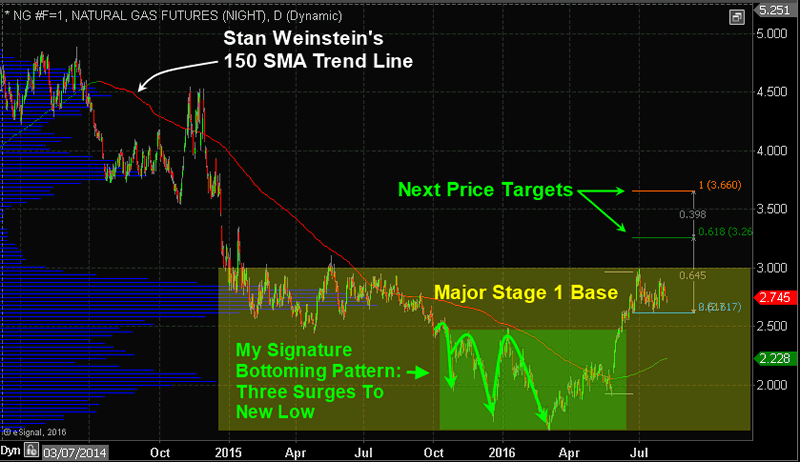 The price of natural gas moves in strange ways, and I mention this to subscribers when its taking place. I found that on when there is fear in the stock market and stocks are down along with almost every other asset class (this is rare), that natural gas is typically the only asset and/or commodity trading higher those days. I’m not 100% sure what to make of it, but I have seen this repeatedly over the years. 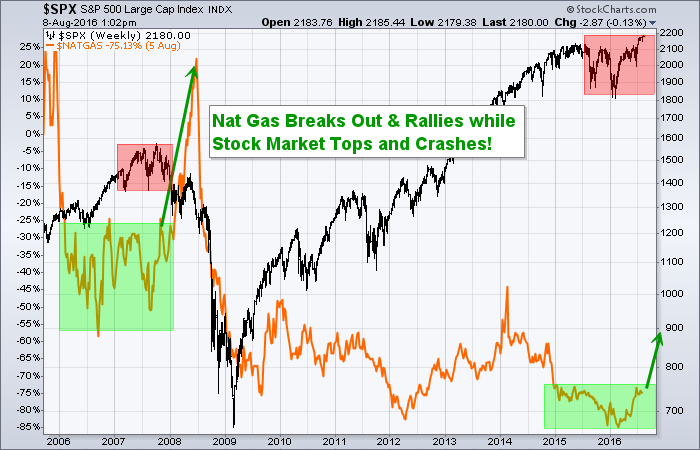 In short, no matter if this correlation in stock price and natural gas exists or not, the fact of the matter is that stocks are showing signs of a significant top, while natural gas appears to be bottoming. In the coming days several swing trade and long-term opportunities will present themselves and I will share which ETFs and or stocks I will trade to profit from the pending moves.